In Torrance, visitors will find one of the largest shopping malls in the country - the Del Amo Fashion Center - as well as a lovely beachfront perfect for sunbathing and swimming. 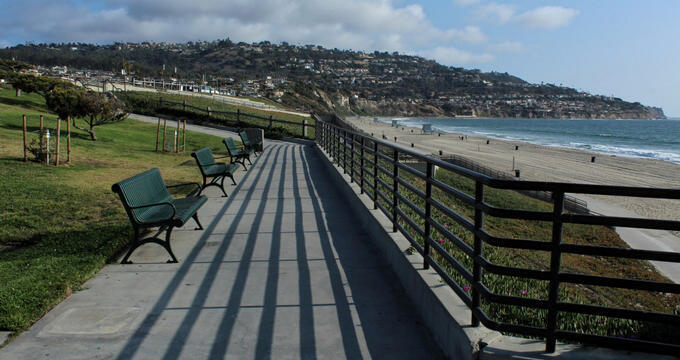 Torrance is home to unique museums, family fun centers, breweries, and street fairs. 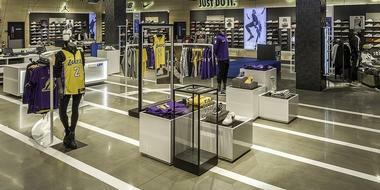 At the Del Amo Fashion Center in Torrance, customers can experience the height of luxury by browsing through one of the biggest shopping malls in the US. With 3 stories and over 2.6 million square feet of retail space, Del Amo Fashion Center is more than just a mall, it’s a landmark in its own right. Visitors will find a food court, movie theater, gym, and plenty of retail shops, including major anchor stores like Macy’s and Nordstrom as well as other shops from H&M and TJ Maxx to Kate Spade New York and Uniqlo. Shopaholics can browse and hunt for deals to their heart’s content, because Del Amo Fashion Center has both budget-friendly and high end luxury shops under its room. The tall glass windows that greet visitors to the Torrance Cultural Arts Center are grand and inviting, and the interior of the center is just as exciting. The multi-purpose building and complex that is known as the Torrance Cultural Arts Center has a large ballroom that is used for banquets, weddings, and other events, and performing arts studios for the visual arts, including the James Armstrong Theater, which can accommodate over five hundred people. The beautiful Japanese Garden is another major attraction at the Torrance Cultural Arts Center, as are the lovely outdoor plaza areas. A full schedule of events and performances can be found on the Torrance Cultural Arts Center’s website. 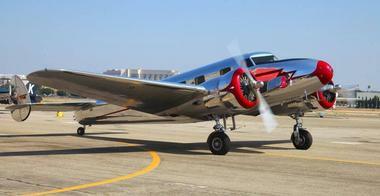 The Western Museum of Flight is committed to educating its guests about the history of aircraft and aviation, as well as the preservation of aircraft and other artifacts to do with the industry. The Western Museum of Flight is a great destination for families, because inside the Air Museum, kids and adults alike can see and even touch or interact with some of the historic aircraft that made flight and innovation possible. The collection at the museum includes many types of aircraft, including military and commercial airplane components, many fully in tact, historic airplanes and drones, and components and accessories such as ejection seats, tools and instruments that date back to World War II, and more. Since 2011, Smog City Brewing has been crafting and distributing delicious beers to the Los Angeles County area. Their beers can be found at SteelCraft - a food hall in Long Beach - and at their taproom and brewery located in Torrance. Some of their flagship beers include Smog City IPA, Little Bo Pils, Sabre Toothed Squirrel nutty amber ale, and Smog City’s Coffee Porter. They also feature plenty of amazing seasonal varieties, which change throughout the year and can be found at the taproom, and an extensive repertoire of sour beers. Smog City Brewing is open from 3pm to 10pm Monday through Thursday, 12pm to 10pm on Fridays and Saturdays, and 12pm to 8pm on Sundays. 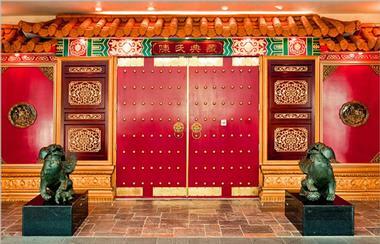 The Chen Art Gallery is more than just a gallery, it is an art museum that contains a huge collection of Chinese Art. The collection was once owned by Dr. Tei Fu Chen, a prominent pharmacist and herbalist. The collection of the Chen Art Gallery contains over a thousand amazing artifacts, which include works that span five thousand years of history in China. From pottery to jade carvings, and Buddhist statues to a complete bedroom from the Ming dynasty, the Chen Art Gallery provides an in depth and intimate look at Chinese art and history. Visitors to the gallery will be led on a tour by an experienced guide so they can best appreciate everything they see. Admission to the gallery is free, but visitors should call ahead to schedule their visit. 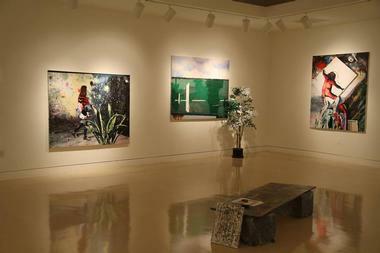 The Chen Art Gallery is open from Tuesday through Friday, 10am to 4pm. The Torrance Certified Farmers’ Market has been providing an excellent venue for merchants since 1985, when it was open on Tuesdays. 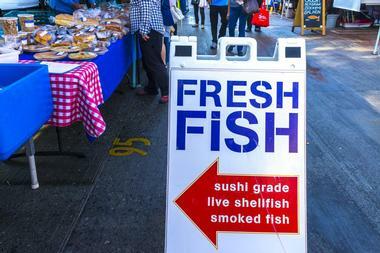 The Tuesday market still exists, but now has expanded to include another day of business each week on Saturdays. The market, which is sometimes referred to as the Community Meeting Place, runs from 8am to 1pm, and it’s a spectacular place to support local farmers and producers while doing some grocery shopping, or purchase fresh herbs, good coffee, or homemade pasta. Visitors can purchase some fresh flowers to take with them, a fresh baked good to munch on throughout the day, or a pot of local honey to take home as a souvenir. Art spans time and cultures, an expression of creativity that often reflects the culture and personal experiences of the artist. That in mind, the Torrance Art Museum focuses on artists from Southern California, particularly modern and contemporary works. With two gallery spaces and a number of events and educational programs, the Torrance Art Museum is dedicated to educating the public about modern art and its influence upon the world. Exhibitions change seasonally, and most aim to challenge the way that viewers look at art and life in general. The Torrance Art Museum has free admission, and is open Tuesday through Saturday from 11am until 5pm. A vernal marsh is a pool of water that collects temporarily, serving as a habitat for certain animal and plant life, and Madrona Marsh is an excellent example of one of these rare ecosystems. Vernal marshes like Madrona Marsh have been slowly disappearing over the centuries since European settlers first came to California. Visitors to Madrona Marsh can explore some of the 43 acres of marshland to spot birds and other animals that are usually very rare in urbanized regions. Madrona Marsh is open to visitors on Wednesdays, Thursdays, and Fridays, as well as weekends, and offers many organized hikes, lectures, nature walks, and bird watching walks. Downtown Torrance used to be a central hub of the area during the early 20th century, with shopping and attractions that would draw visitors from neighboring towns on a daily basis. The Torrance Antique Street Faire harkens back to those days, with a monthly event that shows off not just the vendors, but the city of Torrance itself. Every month, hundreds of vendors gather on the streets of downtown Torrance to sell antique furniture, jewelry, house goods, books, toys, collector’s items, and more. 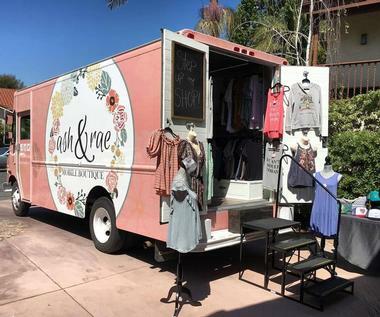 If you’re not in town on a market day, then no worries, because Torrance Antique Street Faire also has a storefront retail location that is open all month long. Scholb Brewery creates bold, hoppy West Coast beers in their Torrance brewery and taproom. 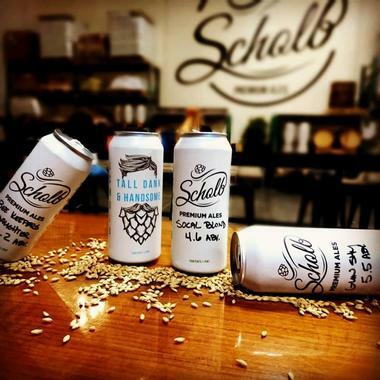 A small brewery ensures that guests are drinking the freshest beer possible, and Scholb’s head brewers are all creative and experimental, delivering unique, delicious beers to their clientele. Some of their best known beers include the SoCal Blonde, the Fog Topper Dry Stout, the Pacific Coast Hopway IPA, and the Moontide Pale Ale. Food trucks parked outside the taproom provide delicious snacks to go along with Scholb’s tasty beers, and the dog-friendly, kid-friendly taproom is also host to a variety of events. With its close proximity to all the talent abuzz in Hollywood, it’s no surprise that Torrance is a big proponent of the arts. 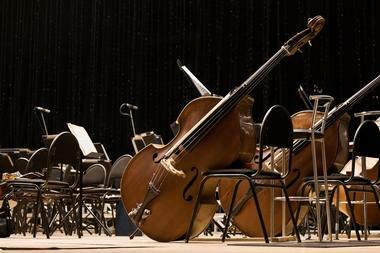 At the James R. Armstrong Theatre in Torrance, which seats 502 guests in a traditional theater setting with plush seats and wonderful acoustic capabilities, visitors to Torrance can sit back and enjoy some spectacular entertainment. The James R. Armstrong Theatre hosts orchestral and symphonic performances, theatrical performances of stage plays and musicals, and more. The theater is equipped with handrails and wheelchair spaces, and the lobby is full of amenities such as food service. A full schedule of events can be found online. Zymurgy Brew Works is a craft brewery that really focuses on the ‘craft’ aspect of their business. This tiny operation considers themselves a ‘nano-brewery’, and makes small batches of their beer for guests to enjoy in the taproom. Some of their creations include a Boysenberry Porter, Muscles from Brussels Dark Belgian Strong Ale, and Outside the Box Belgian IPA. 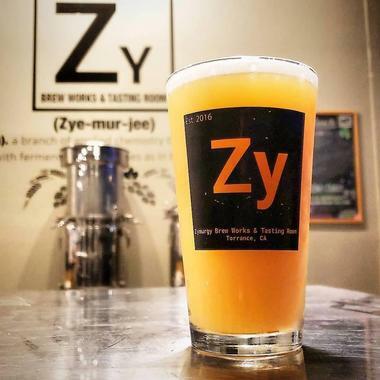 Beers are sold by the taster, goblet, or growler, but the real draw at Zymurgy is that once you find a beer you love, you can brew your own with the help of Zymurgy’s DIY Brewing sessions. Sessions last about 3.5 hours and allow guest to brew their own beer and take it home in bottles or a keg after it ferments. The Mulligan Family Fun Center is a recreational park that will be, just as the name suggests, fun for the whole family. 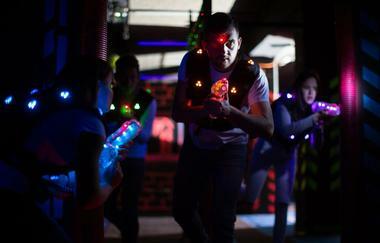 In a 2,200 square foot indoor arena, players can compete on teams to be the best in Lazer Tag, and outside on an 18 hole mini golf course, guests can putt through castles and waterfalls. Go Karts allow for a great opportunity to race against friends and family, and those who are too small to drive can have a seat in one of the 2-seater go karts to go along for the ride if they’re over 40” tall, or race in the Rookie Go Kart track. Arcade games, bumper cars that spin, paddle boats, and a 25 foot outdoor rock climbing wall will all offer a full day’s worth of entertainment. Los Angeles can be a very overwhelming city, with its gridlocked traffic, loud, busy streets, and big crowds. But from above, all of that suddenly looks very small. Get a different perspective on LA with JJ Helicopters, a company that will take visitors on an aerial tour of Los Angeles and the surrounding areas. Customers can choose between several tour options, which include flying over Santa Monica Beach, Hollywood and Beverly Hills, Redondo Beach, or the metropolis of Los Angeles itself. There’s also a deluxe option which will take passengers to all of these locations. 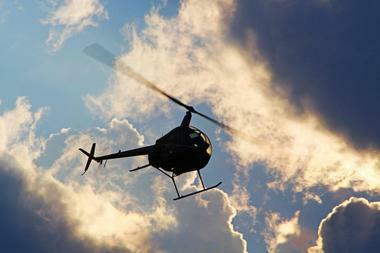 JJ Helicopters also offers sunset tours, custom tours, and mini group tours for up to 9 people. While some people are content to be a passenger, looking out the window as they fly over landmarks, South Coast Aeronautics takes it one step further, and teaches their guests to fly. 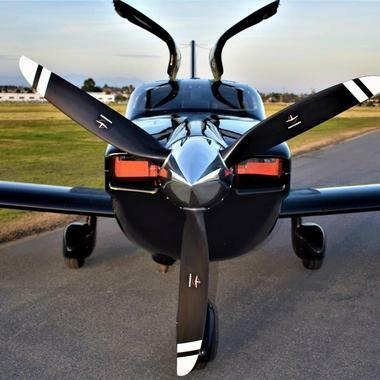 The experiences flight instructor at South Coast Aeronautics has logged thousands of hours of flight instruction, and with a little training, South Coast is prepared to help their guests become great pilots. Visitors can choose from a Discovery & Adventure Flight - which will help them learn the basics and get up into the air as they fly over Hollywood or South Catalina Island - or Flight School, where they will clock over 40 hours of flight time throughout the length of the course. The Lazy Dog Restaurant and Bar was born out of the owner’s love for the Rocky Mountains. 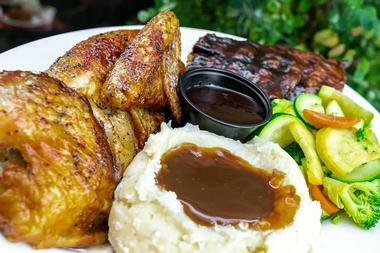 The restaurant was created to share the unique mountain town vibe with other parts of the world, and in Torrance, that lodge-like, cozy feeling is well replicated, even in the heat of SoCal. Lazy Dog Restaurant and Bar serves great comfort food, like burgers piled high with - sometimes very unique - toppings, fish and chips, ribs, steaks, pot pies, and fried chicken dinners. Lazy Dog also serves delicious pizzas, bowls of stir fry, and some delicious pasta dishes. There’s a full brunch menu as well, which includes everything from Bananas Foster French Toast and Rocky Road Pancakes to Country Chicken and Biscuits and Cheesy Eggs with Avocado Toast. When Gaetano’s first opened in 1993, it was a deli, with fresh bread baked in house, delicious sandwiches, salads, and pastries, as well as a pizza oven. The place was family run, and every part of the family - aunts, uncles, cousins, friends - had a hand in helping it to succeed. Soon, the deli grew into a restaurant, which grew into Gaetano’s as it is known today. This family run, spectacular Italian restaurant serves some of the best Italian food in Torrance. Guests can start their meal with a plate of bruschetta or arancini, enjoy a pasta dish of risotto alla zucca linguini and clams, or baked mostaccioli, and for a main course, choose items like scallops sorrento or a tuscan lamb chop to really whet the appetite. 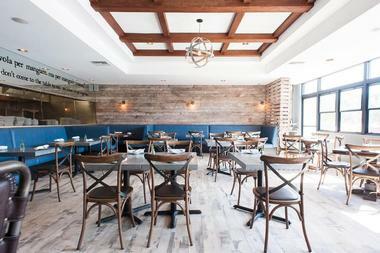 Gaetano’s also serves pizza, delicious desserts, and a full list of wines. Hof’s Hut is a SoCal chain which takes its guests back in time to the old beach diner that originally opened in Long Beach during the 1940s. There are plenty of other locations now, but Hof’s Hut still plays on that nostalgia, with classic American diner fare in a classic American diner setting. 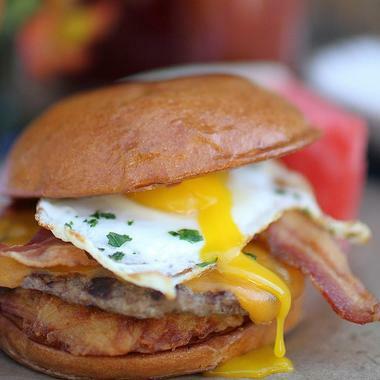 Breakfast items range from stuffed churro french toast and breakfast quesadillas to seafood omelettes and chicken fried steak, and like any great diner, it’s served all day long. Lunch and dinner include salads, soups, and chilis, as well as great sandwiches and home cooked meals like pot roast and rotisserie turkey. And of course, it wouldn’t be Hof’s Hut without the famous Hofburger, or a delicious malt shake.